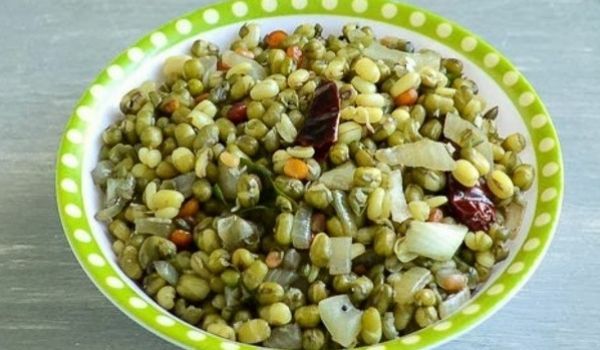 Green Gram Salad is a South Indian salad. Learn how to make/prepare Green Gram Salad by following this easy recipe. Gently mix all the ingredients, except for the roasted peanuts in a salad bowl. Mix in the roasted peanuts just before serving. Green Gram Salad is ready.